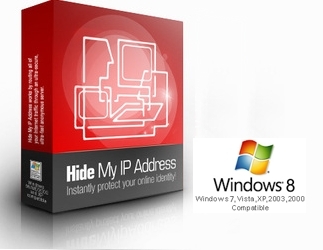 Be Invisible Online With Hide My IP Address! Have you ever thought "What's the best and easiest way to hide my IP address" or wondered "WHY should I even try to hide my IP address"? If not you probably should! Every computer is issued an IP address from their ISP (Internet Service Provider). EVERYTHING you do online is recorded and connected to your IP. Every site you visit, every email and image you view is tracked to your unique IP. FAST Servers: Some proxy services are extremely slow. With Hide IP it routes your browser to over 2,500 super fast secure servers over the Tor network! INSTANTLY Hide Your IP: Just launch your browser as usual and click one button. Hide My IP Address will instantly hide your IP - Surf totally anonymous! ERASES History: The software will shred all your browsing history. No web history or log files to worry about. As soon as you close the browser they're GONE! QUICK & EASY: Just install the software, open the browser and start surfing! 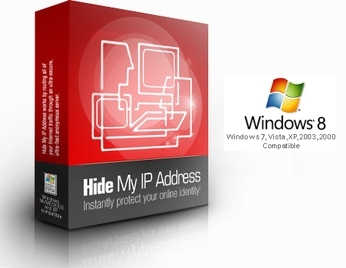 Hide My IP will automagically mask your IP. Be at ease knowing you're secure. LIFETIME Updates & Support: We provide 24/7 support via email, chat and an 800 toll free number. We'll also send you free software updates for LIFE! Instant Download Email Sent & Lifetime Support Warranty. Instant Download, CD Shipping is FREE, with lifetime support warranty.